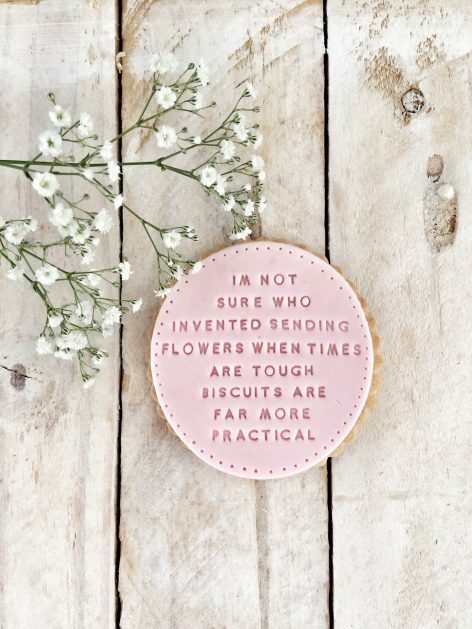 Why send flowers when you can send some edible inspiration instead. 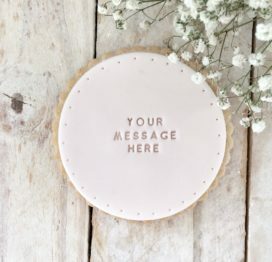 Far more personal (not to mention practical!) 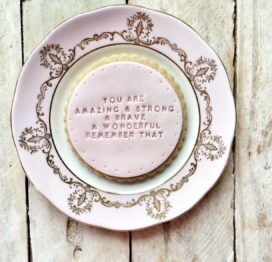 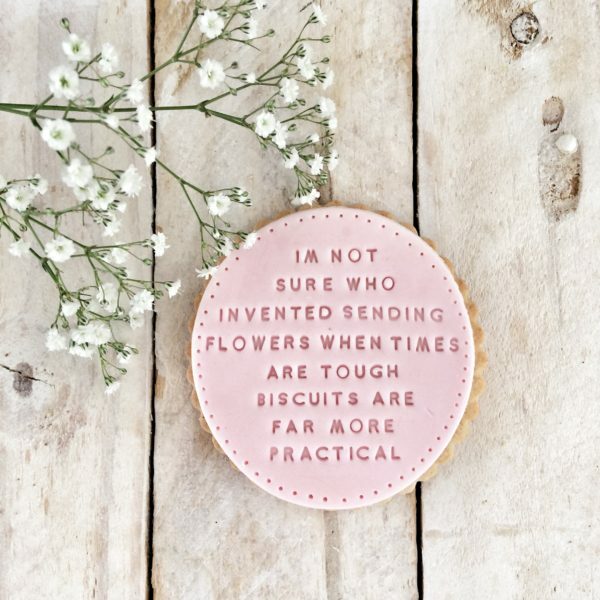 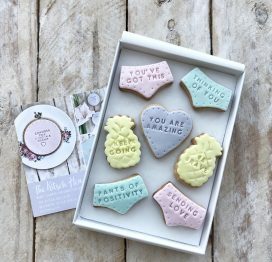 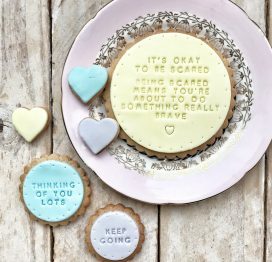 than a bunch of flowers, this biscuit is a lovely way to to let someone know they’re in your thoughts. 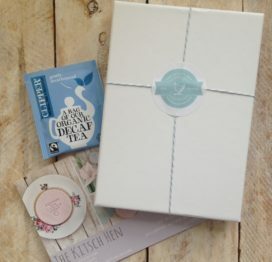 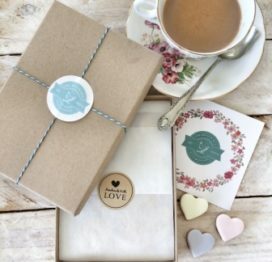 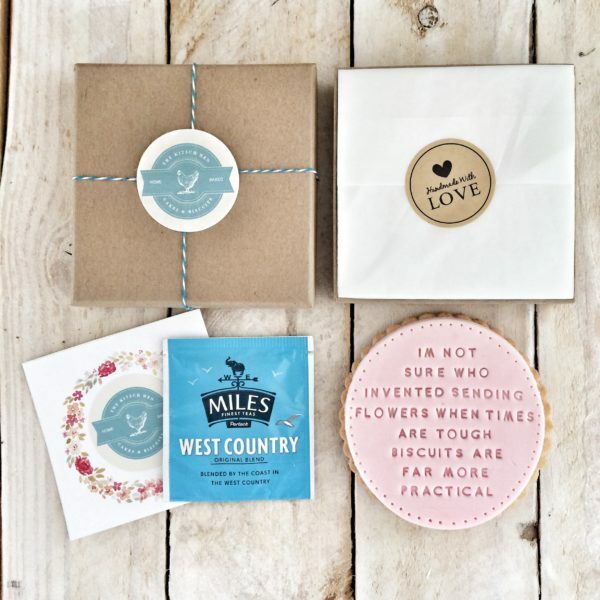 Includes one large biscuit presented in a lovely gift box, and can include a personal, handwritten message of up to 170 characters – please add the details in the gift note box.